This 3 Ingredients Tropical Smoothie is the one you need at your breakfast table to refresh your day. As the name says it requires just 3 ingredients. Have given Vegan version too for Vegan lovers. The Summer might have gone,but not my love towards trying new smoothies.Being from a Tropical country,I love Tropical flavors in any dish.This smoothie has a true tropical flavor in it. Having a glass of this smoothie at your breakfast keeps you filling and refreshed all day long. In case if you want to try similar kind of smoothie just check out Vegan Tropical ( Sub-tropical) Smoothie and Raw Mango ginger Cooler. 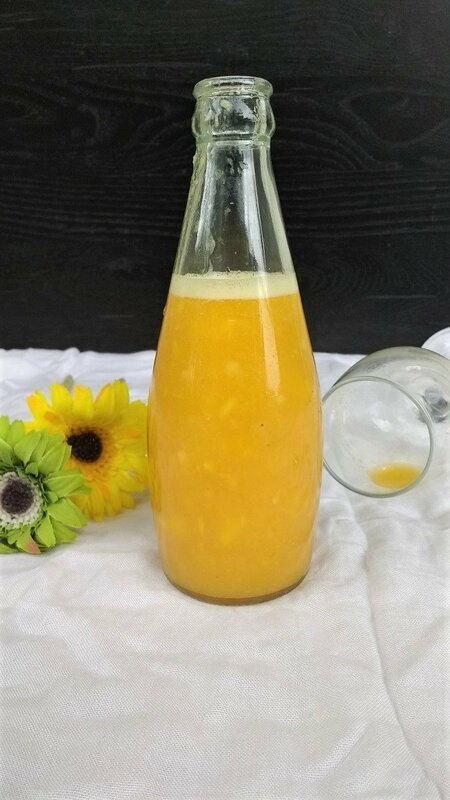 To make this easy and delicious smoothie, I chose my most favorite Mango,Pineapple and Coconut. You can add your favorite fruits too. I used whole milk for this smoothie.To make this vegan you can add Coconut milk instead of whole milk. I assure that would taste great too. You can add or avoid Sugar.Or instead you can add honey. You can follow my updates and recipes on Facebook, Pinterest, Twitter, Instagram. Take all ingredients with 1/4 cup milk or coconut milk in a blender and blend till smooth. Add remaining quantity of milk and pulse again. 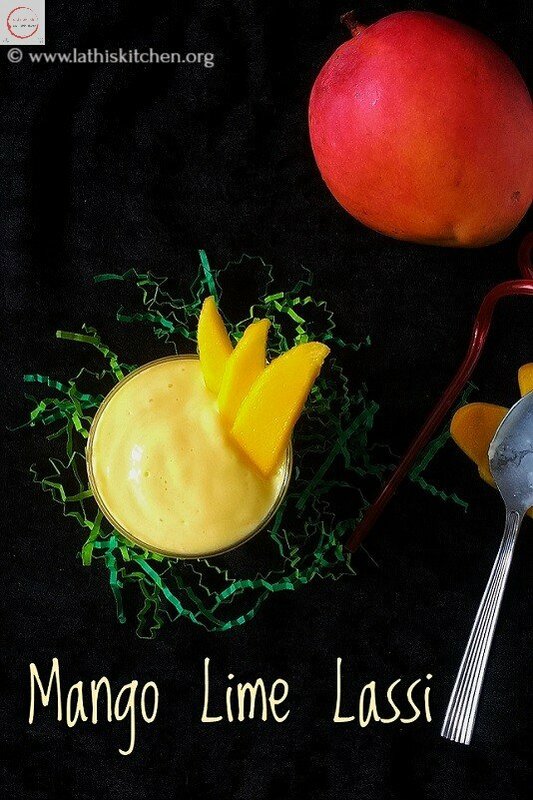 Garnish with coconut and mango slices. In the given recipe I took 1:1/2:1/4 ratio of Mango ,Pineapple and Coconut. You can adjust the ratio as per your preference. You can add other tropical fruits of your choice too. Adjust sugar as per your requirements. Instead of sugar you can add honey too. Garnishing is purely optional. You can avoid it if you want. This 3 Ingredients Tropical Smoothie is the one you need at your breakfast table to refresh your day. As the name says it requires just 3 ingredients. Add remaining 1/4 cup of milk and pulse it. Sharing this recipe in Fiesta Friday. This week co hosts are Judi and Antonia. Looks delicious and super refreshing! No matter the weather, I say smoothies all year round. They’re a quick, nutritious refresher. This looks very bright and yum! I love this kind of smoothie and always have mango in the freezer. I usually make it with strawberry and bananas but I like the pineapple – giving it a more “tropical” flavor. Very pretty too – making it very easy to drink and enjoy. Thanks for sharing with Fiesta Friday Lathiya. Love all 3 tropical flavors Lathiya! Wow.. love the colour and flavours. All my fav ingredients in one smoothie. Yum! Thank you dear..My favorites too.. This is a healthy and wonderful drink anytime. I can have it anytime.